Decleor Aroma White C+ Intense Brightening Mask is a concentrated fabric mask designed for an intense action on skin's clarity and radiance. Inspired by Decleor's professional treatments, this mask, highly enriched with the 'White Focus' plant complex is ideal for intense action on skinÕs luminosity and help regulate the skin pigmentation process. 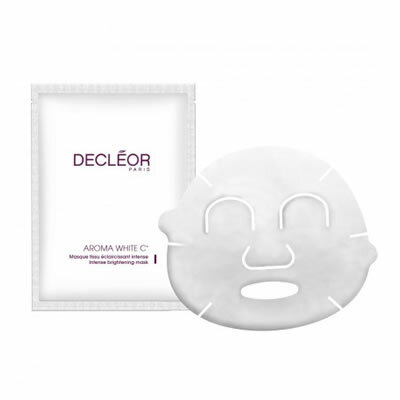 With Decleor Aroma White C+ Intense Brightening Mask your skin is pure and radiant, the skin glows with exceptional transparency. Decleor Aroma White C+ Brightening Cleansing Oil eliminates the most stubborn traces of make-up and strengthens the skin barrier revealing a radiant complexion and less pigmentation.